HomeBlogInsulation: Learning The BasicsIs Spray Foam Eco-Friendly? Rising concerns about health and the environment have prompted questions about whether or not spray foam insulation is eco-friendly. This depends on the type of product that you choose. Many insulation materials that are available today are formulated from renewable resources (soy, vegetable oil and recycled plastic) and made in an environmentally responsible manner. 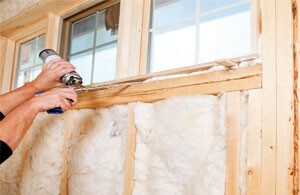 Let us examine the facts about spray foam insulation with regard to being eco-friendly. This is a critical factor in measuring the environmental responsiveness of a product. 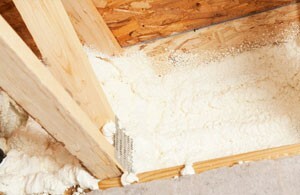 Spray foam insulation has proven to be one of the most energy efficient materials. Not only will it reduce your energy bills by up to 50% but it has also been known to minimize the size of the HVAC equipment you may require. Dust, mould and mildew are allergy triggers and the cause of many respiratory ailments. Spray foam insulation effectively keeps dust, pollen, mould and mildew out. This contributes to improved indoor air quality and health benefits. Cold spots, moisture and vapour make for uncomfortable surroundings and can also damage building structure. The certified air and vapour barrier that spray foam insulation provides, will strengthen the structure while also reducing temperature fluctuations and overall energy consumption. Sustainable designs require a high level of performance from the building envelope. BASF WALLTITE ECO™ used by Platinum Spray Foam is endorsed by well-known contractor and TV personality, Mike Holmes, both for its durability and energy efficiency. Testing has proven that this spray foam insulation system does not emit any harmful toxins or volatile organic compounds (VOCs) after installation. Additionally, it can help your project achieve LEED points in many categories including energy performance, thermal comfort, regional materials and recycled content. Platinum Spray Foam offers premium products and service. Our technicians are manufacturer-trained and ensure that the job is done correctly the first time. Engineers, architects, property owners and managers who have used our product of choice, WALLTITE®, have benefitted from fewer building envelope issues and significantly lower energy bills.